Match ends, Borussia Dortmund 2, VfL Wolfsburg 0. 90+4' Second Half ends, Borussia Dortmund 2, VfL Wolfsburg 0. 90+4' Goal! Borussia Dortmund 2, VfL Wolfsburg 0. Paco Alcácer (Borussia Dortmund) right footed shot from the centre of the box to the bottom right corner. Assisted by Jadon Sancho following a fast break. 90+2' Foul by Paco Alcácer (Borussia Dortmund). 90+2' Maximilian Arnold (VfL Wolfsburg) wins a free kick in the defensive half. 90' Goal! Borussia Dortmund 1, VfL Wolfsburg 0. Paco Alcácer (Borussia Dortmund) from a free kick with a right footed shot to the centre of the goal. 90' William (VfL Wolfsburg) is shown the yellow card. 89' Paco Alcácer (Borussia Dortmund) wins a free kick in the attacking half. 89' Foul by John Brooks (VfL Wolfsburg). 86' Foul by Mahmoud Dahoud (Borussia Dortmund). 86' Yannick Gerhardt (VfL Wolfsburg) wins a free kick on the left wing. 83' Attempt blocked. Jadon Sancho (Borussia Dortmund) right footed shot from outside the box is blocked. Assisted by Jacob Bruun Larsen. 81' Substitution, VfL Wolfsburg. Daniel Ginczek replaces Admir Mehmedi. 81' Substitution, Borussia Dortmund. Mahmoud Dahoud replaces Mario Götze. 80' Attempt missed. Jérôme Roussillon (VfL Wolfsburg) left footed shot from the left side of the box misses to the right. Assisted by William. 79' Foul by Mario Götze (Borussia Dortmund). 79' Jérôme Roussillon (VfL Wolfsburg) wins a free kick in the defensive half. 79' Marius Wolf (Borussia Dortmund) wins a free kick in the defensive half. 79' Foul by Wout Weghorst (VfL Wolfsburg). 78' Corner, VfL Wolfsburg. Conceded by Dan-Axel Zagadou. 74' Substitution, Borussia Dortmund. Jacob Bruun Larsen replaces Achraf Hakimi because of an injury. 73' Delay in match Achraf Hakimi (Borussia Dortmund) because of an injury. 72' Attempt saved. Raphael Guerreiro (Borussia Dortmund) left footed shot from outside the box is saved in the top right corner. Assisted by Thomas Delaney. 70' Offside, VfL Wolfsburg. William tries a through ball, but Wout Weghorst is caught offside. 69' Attempt missed. Wout Weghorst (VfL Wolfsburg) header from the centre of the box is high and wide to the right. Assisted by Renato Steffen with a cross. 68' Attempt saved. 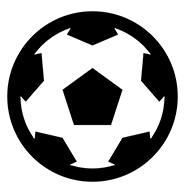 Raphael Guerreiro (Borussia Dortmund) left footed shot from outside the box is saved in the top centre of the goal. 67' Substitution, VfL Wolfsburg. Renato Steffen replaces Felix Klaus. 67' Raphael Guerreiro (Borussia Dortmund) wins a free kick in the attacking half. 67' Foul by William (VfL Wolfsburg). 64' Attempt missed. Paco Alcácer (Borussia Dortmund) right footed shot from outside the box is high and wide to the right from a direct free kick. 63' Axel Witsel (Borussia Dortmund) wins a free kick in the attacking half. 63' Foul by Josuha Guilavogui (VfL Wolfsburg). 62' Corner, Borussia Dortmund. Conceded by Koen Casteels. 62' Attempt saved. Jadon Sancho (Borussia Dortmund) right footed shot from the right side of the box is saved in the top right corner. Assisted by Thomas Delaney. 59' Corner, VfL Wolfsburg. Conceded by Marius Wolf. 58' Attempt missed. Maximilian Arnold (VfL Wolfsburg) left footed shot from outside the box misses to the right. Assisted by William. 54' Corner, Borussia Dortmund. Conceded by William. 54' Corner, Borussia Dortmund. Conceded by Maximilian Arnold. 54' Attempt blocked. Achraf Hakimi (Borussia Dortmund) right footed shot from outside the box is blocked. Assisted by Paco Alcácer. 53' Attempt saved. Josuha Guilavogui (VfL Wolfsburg) right footed shot from outside the box is saved in the bottom left corner. 51' Foul by Dan-Axel Zagadou (Borussia Dortmund). 51' Wout Weghorst (VfL Wolfsburg) wins a free kick in the defensive half. 50' Offside, Borussia Dortmund. Roman Bürki tries a through ball, but Jadon Sancho is caught offside. 49' Substitution, Borussia Dortmund. Achraf Hakimi replaces Abdou Diallo because of an injury. 49' Paco Alcácer (Borussia Dortmund) wins a free kick in the attacking half. 49' Foul by Josuha Guilavogui (VfL Wolfsburg). 49' Delay over. They are ready to continue. 48' Delay in match Abdou Diallo (Borussia Dortmund) because of an injury. 46' Foul by Thomas Delaney (Borussia Dortmund). 46' Wout Weghorst (VfL Wolfsburg) wins a free kick in the defensive half. Second Half begins Borussia Dortmund 0, VfL Wolfsburg 0. 45+2' First Half ends, Borussia Dortmund 0, VfL Wolfsburg 0. 42' Manuel Akanji (Borussia Dortmund) wins a free kick in the defensive half. 42' Foul by Wout Weghorst (VfL Wolfsburg). 41' Attempt missed. Dan-Axel Zagadou (Borussia Dortmund) with an attempt from the centre of the box is just a bit too high. Assisted by Raphael Guerreiro with a cross following a set piece situation. 41' Jadon Sancho (Borussia Dortmund) wins a free kick on the left wing. 41' Foul by William (VfL Wolfsburg). 39' Foul by Thomas Delaney (Borussia Dortmund). 39' Wout Weghorst (VfL Wolfsburg) wins a free kick in the defensive half. 34' Foul by Manuel Akanji (Borussia Dortmund). 34' Maximilian Arnold (VfL Wolfsburg) wins a free kick in the defensive half. 34' Corner, Borussia Dortmund. Conceded by Yannick Gerhardt. 33' Corner, Borussia Dortmund. Conceded by William. 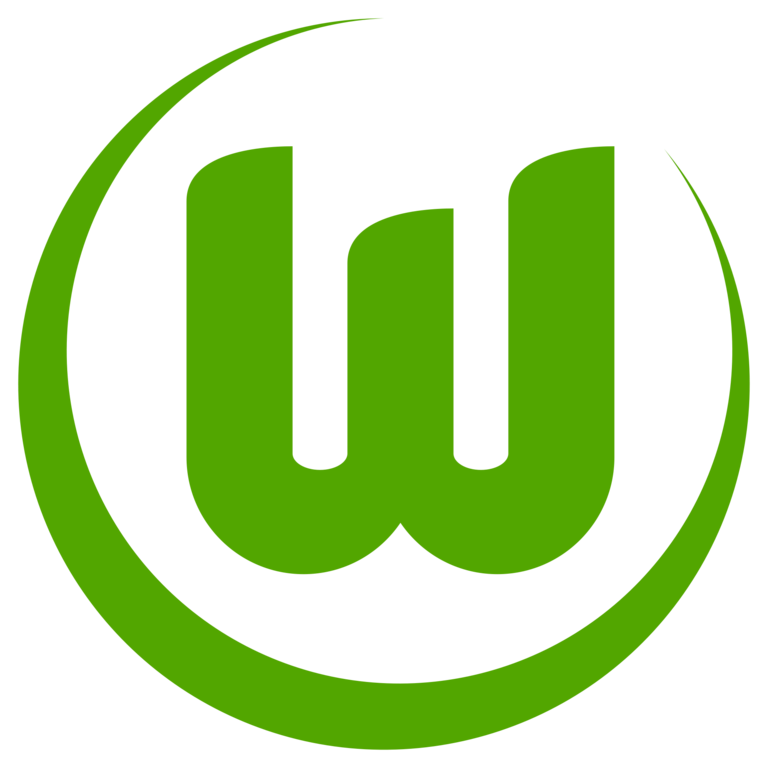 32' Foul by William (VfL Wolfsburg). 32' Jadon Sancho (Borussia Dortmund) wins a free kick in the defensive half. 28' Offside, VfL Wolfsburg. Robin Knoche tries a through ball, but Admir Mehmedi is caught offside. 28' Corner, VfL Wolfsburg. Conceded by Roman Bürki. 28' Attempt saved. Wout Weghorst (VfL Wolfsburg) right footed shot from outside the box is saved in the top right corner. Assisted by Felix Klaus. 26' Foul by Thomas Delaney (Borussia Dortmund). 26' Yannick Gerhardt (VfL Wolfsburg) wins a free kick in the attacking half. 21' Foul by Thomas Delaney (Borussia Dortmund). 21' Yannick Gerhardt (VfL Wolfsburg) wins a free kick in the defensive half. 20' Delay in match (Borussia Dortmund). 19' Attempt missed. Paco Alcácer (Borussia Dortmund) right footed shot from the centre of the box is just a bit too high. Assisted by Mario Götze with a cross. 17' Maximilian Arnold (VfL Wolfsburg) is shown the yellow card for a bad foul. 17' Axel Witsel (Borussia Dortmund) wins a free kick in the attacking half. 17' Foul by Maximilian Arnold (VfL Wolfsburg). 16' Jadon Sancho (Borussia Dortmund) wins a free kick on the left wing. 16' Foul by Felix Klaus (VfL Wolfsburg). 12' Attempt saved. William (VfL Wolfsburg) left footed shot from the right side of the box is saved in the bottom right corner. Assisted by Maximilian Arnold. 10' Foul by Felix Klaus (VfL Wolfsburg). 10' Abdou Diallo (Borussia Dortmund) wins a free kick on the left wing. 8' Foul by Thomas Delaney (Borussia Dortmund). 8' Maximilian Arnold (VfL Wolfsburg) wins a free kick in the defensive half. 8' Attempt missed. Dan-Axel Zagadou (Borussia Dortmund) header from the centre of the box is close, but misses to the left. Assisted by Raphael Guerreiro following a set piece situation. 7' John Brooks (VfL Wolfsburg) is shown the yellow card for a bad foul. 7' Mario Götze (Borussia Dortmund) wins a free kick in the attacking half. 7' Foul by John Brooks (VfL Wolfsburg). 5' Corner, VfL Wolfsburg. Conceded by Dan-Axel Zagadou. 4' Marius Wolf (Borussia Dortmund) wins a free kick in the defensive half. 4' Foul by Admir Mehmedi (VfL Wolfsburg). 1' Foul by Marius Wolf (Borussia Dortmund). 1' Admir Mehmedi (VfL Wolfsburg) wins a free kick in the defensive half.